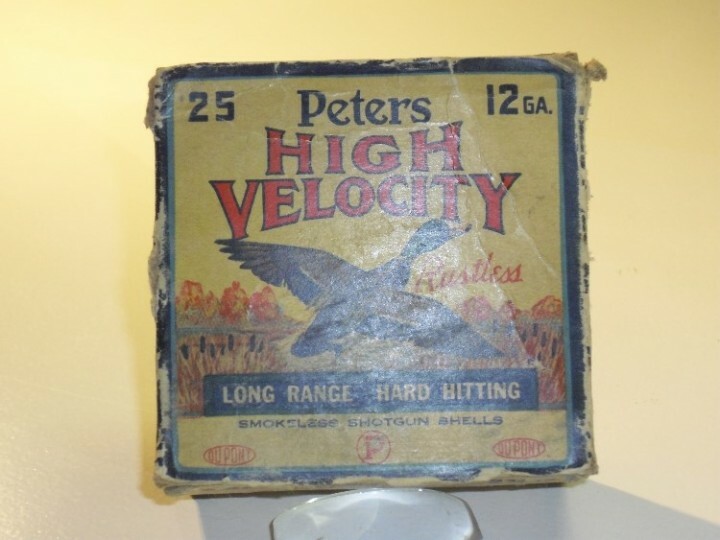 Presented is a vintage and original Peters High Velocity shotgun shell cardboard box. Dimensions: 4" sq. x 2-1/2" deep x 4" high. Well used condition but intact with all flaps attached. 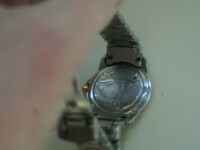 It has no repair tape or glue or other adhesive. Colors are strong. Will make a great display piece for a hunter or outdoorsman. No date is on it but it is probably 1940's - 1950's vintage. These are rare and hard to find...please don't pass it up.